One woman struggling to hold on to what she has. . . .
One woman learning to forgive. . . .
Their lives entwined by one little girl. Sarah Hargreave is anxious to finalize the adoption of her foster daughter, Leila. Once a foster child herself, Sarah longs to become Leila’s “forever” family and give her all the love and stability she was denied in her own childhood. When Leila’s biological mother suddenly reappears and petitions the court for the return of her daughter, Sarah is terrified she’ll lose the little girl she loves to the drug- addicted mother who abandoned her. Having grown up in foster care, Ilona Cartwright is a lawyer who fights for the rights of children who have no one to fight for them. But to Sarah she is Nonie Blanchard, who grew up in the same group foster home as Sarah. They’d promised to be best friends forever, but then Nonie was adopted by a wealthy family, and Sarah never heard from her again. Sarah still hurts from the betrayal. 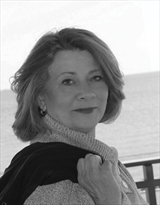 But Nonie harbors her own resentment toward the past. It’s rare – very rare – that a book makes me cry, but this one did. Shelley Noble’s writing is both subtle and cinematic, and if you think those two things exist in opposition to each other, this book will prove you wrong. At it’s heart, it’s a story about family – what constitutes a family? Are blood ties automatically stronger than the ties we choose for ourselves? When do friends become family to one another? Forever Beach doesn’t provide any absolute answers to these questions, because there are no absolutes in human relationships. Instead, it gives us a glimpse, a cross-section of a group of people who live in a coastal community and have intersecting, and often interlocking, lives. Sarah, the protagonist, is introduced to us at a moment of vulnerability, but we very quickly see that she has a support system of women and men who rally around her when she needs it, talk sense to her when she needs that, and generally have her back. I found that I quite often wanted to draw Sarah into a hug and assure her that everything would ultimately be okay, even though I didn’t know whether or not that it was true. Sarah’s closest friends are Reese (former caseworker, still child protection services worker) and Karen (a fellow mother of young kids), women who know her past and her present. As well there’s Wyatt – hunky lifeguard and love interest – and may I just say, every single mother should have a guy like Wyatt in their corner. He’s not perfect – indeed NONE of these characters are anything but dimensional and flawed – but he’s good. I really liked the interaction between all the members of this small community, Leila (Sarah’s foster daughter whom she wants to adopt) and the other kids included. The way they go to the beach as a sort of neutral territory was all too familiar to me. Everything is better with sand and salt water. Everything. Then there’s Ilona Cartright, badass lawyer. At first she seems prickly, but then we learn her backstory. If I perceived her truth a bit too easily, I don’t think that’s a problem with this book. In fact, knowing the truth too early doesn’t have any kind of negative impact to enjoyment of the story. And what a story! It’s got all the right emotional notes, all the correct plot points to be a Hallmark film (oh, come on, you watch them, too), but with a level of grit and street-smarts that takes it out of the realm of squeaky clean romance novel territory and into a reality-based, emotionally-satisfying, contemporary story packed with diverse strong female characters. Goes well with a soft-serve ice cream cone (sprinkles optional) eaten at the boardwalk. 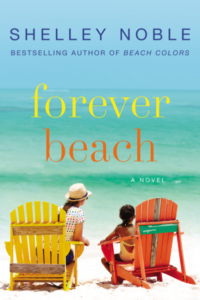 Review: Forever Beach, by Shelley Noble by Melissa Bartell is licensed under a Creative Commons Attribution-NonCommercial-ShareAlike 4.0 International License. There are a few of my friends who I consider family … I can’t say when exactly that happened, but it definitely did.